The process of cooking meats over wood grills originates from the babacots of Arawak. These Caribbean indigenous people inspired the Spaniards to start enjoying ‘barbecue’ meals and the tradition eventually spread across the globe. Barbecues are one of the best-enjoyed meals in America and for plenty of other cultures across the globe. But what about barbecue sauce? Who started the tradition of these divine sauces and dips and how do the sauces differentiate according to a region? In 1748, the Swedish-Finnish botanist and naturalist; Peter Kalm made a visit to North America and noticed that slaves of Philadelphia were cultivating Guinea peppers. They would use the pods, mix them with salt and preserve them in a bottle. Later on, these sauces would be used on meats and fish. Peter Kalm tried the sauces and found that these sauces gave foods a very divine taste. Americans soon adopted the tradition of bottling sauces and started evolving barbecue sauces into different recipes and eventually created unique barbecue styles with their fantastic sauces. Eastern North Carolina – North Calorina loves their vinegar sauce. Vinegar sauce is often referred to as the mother of American barbecue sauces because the sauce has been used for several centuries in this region. This sauce mostly contains cider vinegar, added spices like cayenne, black pepper, crushed red pepper, hot sauce, salt and more. Piedmont or Lexington – Heinz ketchup was introduced in this region in 1876 and have since changed the way barbecue is done. Another common barbecue sauce is the ‘Lexington Dip’ where a tangy, vinegar sauce is sweetened with catchup and used to cook pork. South Carolina – South Carolinians mostly prefer mustard styled sauces. This sauce originates from German immigrants and has since been developed into several different types of sauces, some are more creamy, others zingier. Texas – Texas residents love to cook their beef with a mop or basting sauce. The sauce is applied with a mop in a thin glaze over meats as it is barbecued or smoked. Most sauces include ingredients like beef stock, vinegar, Worcestershire sauce, and spices. Alabama – Alabama is known for their white sauce. Barbecued meats are dipped into a white sauce that is made of a mixture of mayonnaise, vinegar, and spices. This sauce is frequently used with different meat types. While certain regions prefer certain sauces there really isn’t a specific rule for sauces anymore. Barbecue sauces by region also differentiate a lot with regards to their recipe. Some families prefer a spicier barbecue sauce while others like to make a creamier barbecue sauce. Plenty of different regions prefer barbecue sauces that are not specific to their region simply because of the ease of purchasing bottled barbecue sauces from the store. 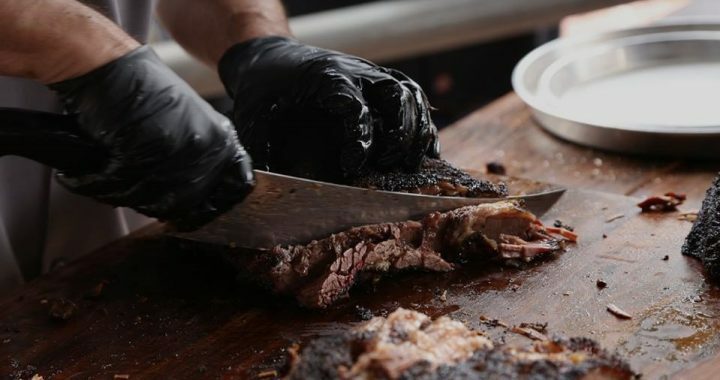 Modern barbecue enthusiasts are constantly changing their barbecue methods and trying out new and different sauces to enhance the barbecue experience. It is always interesting to see which regions prefer which sauces the most but it is also great to see people try different things and have fun with this popular meal prep method.